My son and I wish you a wonderful weekend ! Cultural anthropologist Dr. Simon Ottenberg documented the traditions of this region during the 1950′s – 60′s, which resulted in an in-depth book, ‘Masked Rituals of Afikpo: The Context of an African Art’, and archive of images now part of the Smithsonian. Click here for a short preview of his book, showing multiple field-photos and masks. 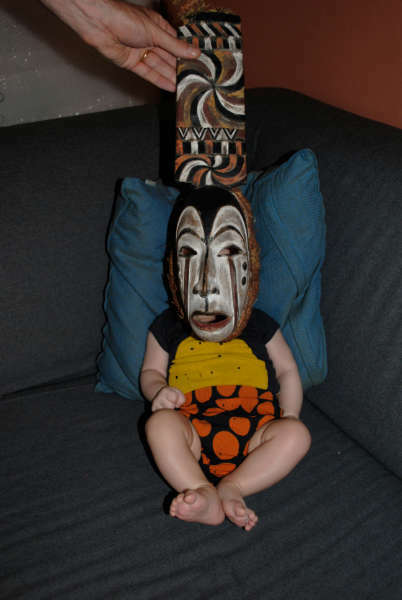 ps my son Felix was so kind to donate this wonderful Afikpo mask to the Antwerp Ethnographic Museum after having realized it was not his size and it would serve a better purpose in the museums’s collection. This entry was posted in Research and tagged Afikpo on August 31, 2013 by admin.